The petitioners appeared for the Common Entrance Examination conducted by the Commissioner for Entrance Examinations. “Clause 15.1(e) prescribes that the eligibility conditions, regarding nativity and academic qualifications, of the prospectus should be ensured and that such academic eligibility should be satisfied on the date of admission to the course. It is also stipulated that the Principal/Head of the Institution will be responsible for verification of eligibility conditions as prescribed in the prospectus, at the time of admission and only those candidates who are qualified as prescribed, shall be admitted, irrespective of the fact of allotment. It is also highlighted, by way of a note under Clause 15.1, that since different Universities are offering different subjects/papers for the LL.B Courses, the candidate should ascertain from the colleges regarding the courses and subjects offered by the respective Universities before submitting options”. The cause of action for the Writ Petitions arose when the Principal of the College, refused to admit the petitioners for want of an Eligibility Certificate from the University. The petitioners contested that the graduate qualification of the petitioners having been recognized by the Mahatma Gandhi University, they were entitled to appear for and get allotment of the seat in the Common Entrance Examination for admission to the Three Year LL.B. Course 2013-14. The petitioners were admitted to the Three Year LL.B. course by an interim order dated 02.01.2014. This order was based on the judgement Thomas M.Koshy v. Commissioner for Entrance Examination [2013 (2) KLT 770]. The petitioners depended upon prospectus of the earlier years, wherein the stipulation was the production of Eligibility Certificate from the University concerned. But the Court held that “the same can only be a 'draftsman's error' and it was observed that it was for the Commissioner for Entrance Examinations to make proper corrections in the prospectus to the appropriate extent, lest the anomaly should prevail. 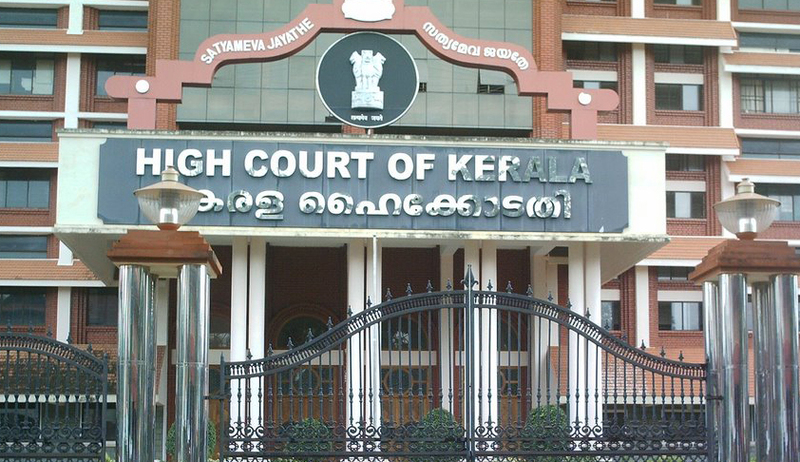 It was in the context of this judgment, it is argued, that the prospectus has now been changed to Eligibility Certificate from a University in Kerala in Clause 16(viii) of the prospectus under the heading "documents to be produced at the time of admission". Further University of Kerala contented that “The Academic Council of the has such powers, of deciding the eligibility of a course carried on by any University outside the State of Kerala and it cannot depend on the decision of an Academic Council of another University within Kerala”. This was grounded on Varghese v. Director of Medical Education [1987 (2) KLT 673] to contend that the prospectus cannot override the University Statutes and administrative instructions, will not cure, ineligibility as per the University Statutes. The Court opined that “Looking at the entire provisions in the prospectus, a candidate proposing to seek admission to the Three Year LL.B Course would normally be held to understand that the academic eligibility conditions are only those, stated in the prospectus. The controversy itself would not have arisen if the Commissioner of Entrance Examination was careful to include a clause in the prospectus that despite allotment as per the prospectus, the eligibility for admission would depend on the conditions prescribed by each University, upon which necessarily a candidate would have had to enquire about the same, before exercising his option. University enjoy fair amount of supremacy in deciding on eligibility conditions.